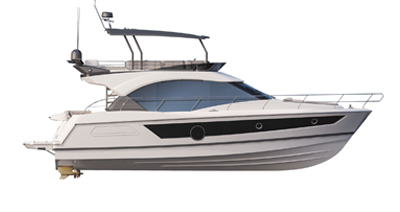 Loyal to the spirit of the range, the Antares 32 is an exceptionally seaworthy family motor cruiser. Her hull is designed to withstand the test of time and cut through the sea, making her ideal for cruising. On board, the motor cruiser has a striking amount of living space. Safe and comfortable, this is a reliable boat that will take you to new places. The Antares 32 is designed by Sarrazin Design. Her grey-coloured hull gives her a classic elegant look. The Antares 32’s sea-keeping is outstanding. Her twin engines make her all the easier to manoeuver at harbour and she is balanced underway. The Antares 32 has a huge flybridge with a comfortable driving station and a second saloon that can be converted into a sun-lounger. 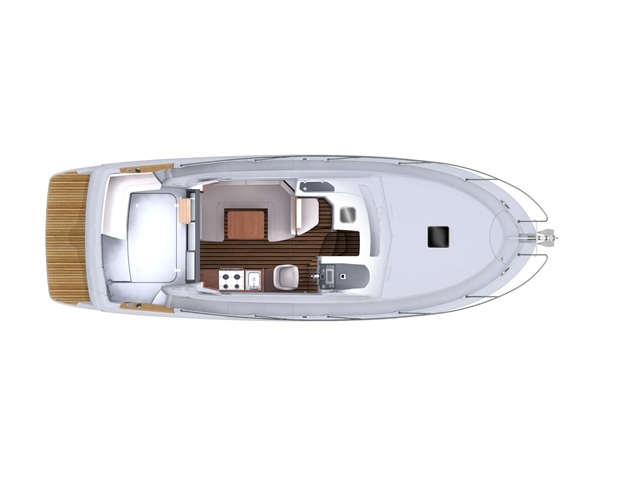 The atmosphere inside the Antares 32 is modern, offering a pleasant contrast between the walnut woodwork and the bright sand-coloured upholstery. Various selections of upholstery are available on option. The interior fittings highlight the amazingly generous living spaces, bathed in light by very large windows. At the helm station in the saloon, there is an omnipresent panoramic view of the sea. 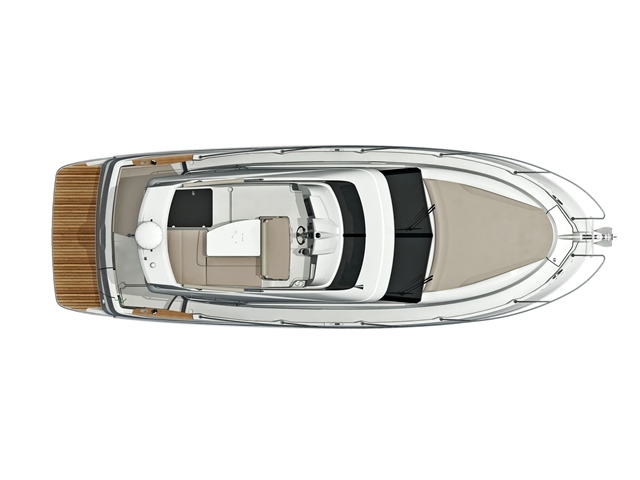 With the safety and manoeuvrability of the twin-engine version, the Antarès 32 has everything to surprise. There is no want of fittings and equipment. Arranged opposite the saloon, the Antarès 32 galley has the following equipment: laminated worktop, stainless steel sink, gas hob and oven, cutlery drawer, 65 L refrigerator and a place to put a microwave. To the fore of the boat is the owner’s cabin. This has a bed on jacks and lots of stowage. The guest cabin has twin bunk berths. During daytime the upper berth folds back. The saloon is easily converted into a double berth. This means that 6 people can live for one or several nights on board. An enormous sun-lounger is available for the foredeck on option. 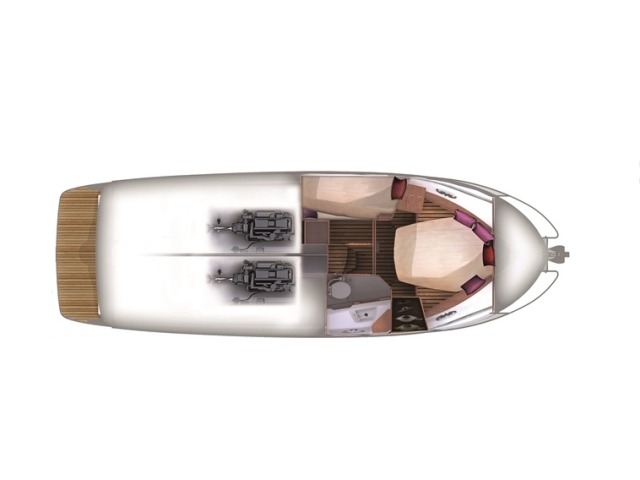 The saloon and the driver’s seat on the flybridge can be converted to enjoy a second outdoor space in which to relax. Nanni T4 2 x 200 HP Diesel engines.